tamtagon wrote: ^I would say instead that people in Dallas are not going to be walkers within our suburban ways.... correct the environment to be pedestrian friendly and the sidewalks will be crowded with walkers. A cactus wont grow in a swamp and a fern wont grow in a desert. Agreed, the more pedestrian-friendly we design our neighborhoods, the more we Dallasites seem to embrace the idea of walking. I don't think anything makes us inherently anti-walking, I think we've just designed to make people think that way for a long time. I see the attitude changing as people experience walkable neighborhoods here. I agree in fact i love to walk... but I live too far from DE to walk there so I am going to drive... once i get there i am fine with walking a mile if need be... For those businesses to survive they have to be able to draw from more than just the people living near by. I have taken Uber to DE and will in the future but sometimes Uber just is not a logical solution depending on when i am going and what i have to do after. 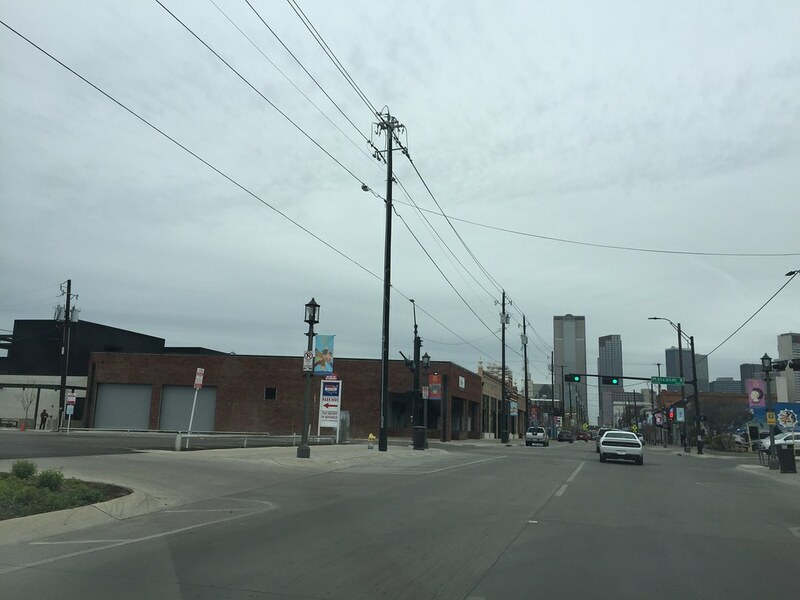 What are the chances of Deep Ellum going vertical with Uptown level vertical density? joshua.dodd wrote: What are the chances of Deep Ellum going vertical with Uptown level vertical density? Does anyone know where to find a comprehensive map showing all the historic and preservation districts in East Dallas? one that's overlaid with height and use zoning? tamtagon wrote: Does anyone know where to find a comprehensive map showing all the historic and preservation districts in East Dallas? one that's overlaid with height and use zoning? tamtagon wrote: Such a long long long and living history from someone living in the area is a Gold Mine. All things considered, HL, do you think the concrete efforts underway which will make Deep Ellum a daytime destination as well as nighttime will end up better than the vampire hours of 'the turn of the century'? Overall, I think the ongoing developments are great for the area. 42 (Scott Rohrman's company) and Westdale are doing some great things. And there's plenty of room for both daytime and "vampire" businesses. The biggest threats I see are the city and DART ramming unwanted projects down the throat of a neighborhood they don't understand, and out-of-scale developments (The Chase, Epic) that overwhelm the neighborhood. tanzoak wrote: So it's all about guest parking? I'm sorry, but I have difficulty believing the problem is as bad as you claim. I'm sure that there are some high-demand times when it's relatively difficult to find a space right outside your building. But I'm also sure that there are plenty of spaces within a 5-7 minute walk during those time periods. They reduced parking on one street. All the streets around it, every side street and every major corridor, has ample parking, in addition to the lots you mentioned. A 5-7 minute walk may be fine for you. For a lot of people it's not. A lot of folks the who go to Filament, Stirr, LTO and Local expect to step out of their car and into the restaurant. A totally extreme example: When the beloved Luscher's closed I read a comment somewhere from a guy who blamed it on the opening of Pecan Lodge. He said that once Pecan Lodge opened he couldn't get a parking spot right in front of Luscher's any more. He stopped going then because he had to park a block or two away. tanzoak wrote: The focus instead should be on creating attractive, safe, and vibrant neighborhoods that encourage more people to visit and live in Dallas! You encourage most people by making things easy and convenient for them. Not by making them walk five blocks on a cold night in a scary neighborhood. And yes, most people think this is a scary neighborhood. Hannibal Lecter wrote: He said that once Pecan Lodge opened he couldn't get a parking spot right in front of Luscher's any more. He stopped going then because he had to park a block or two away. You encourage most people by making things easy and convenient for them. Not by making them walk five blocks on a cold night in a scary neighborhood. What is a neighborhood if the only way you're experiencing it is the two seconds between getting in and out of your car? What does Deep Ellum really mean then? With that view of a neighborhood, is anything really lost if Luscher's moved to a random strip mall at Gaston and Haskell? Why should anyone care? I agree that you encourage people by making things easy and convenient. I guess we just disagree on whether a 5 minute (not block) walk in a pleasant, pro-pedestrian setting is onerous. If I'm wrong, though, I need an explanation for how Uptown continues to do so well, as it is has long been the most difficult place in the city to find a parking space right directly in front of your destination. "Nobody goes there any more, it's too crowded." The free D-Link bus route that circulates around downtown Dallas is being extended to the edge of Deep Ellum, giving downtown Dallas denizens a bigger free ride. I rode the DLink once back when it used to go to Bishop Arts and had a pretty positive experience. Haven't ridden it since then. Does anyone know if it's widely used and generally a good experience? Today there was work being done on the Epic site. I saw work along pacific. Anyone know if they are moving forward with this site? Over the weekend, the whole property at the Epic site was fenced in. Looks like they might be prepping the site. I drove by earlier last week and the site was clearly being laid out with markings for early construction work. I have no idea what stuff they are approved to move forward with without more approvals from city hall. I assume the zoning is already in place to allow them to build what they announced. The question seems to be is the hotel first on the docket to be built or the office tower portion? They previously made the residential component look like a secondary phased project but you would think with the market still strong the residential would be the easiest project to launch. cowboyeagle05 wrote: I drove by earlier last week and the site was clearly being laid out with markings for early construction work. I have no idea what stuff they are approved to move forward with without more approvals from city hall. I assume the zoning is already in place to allow them to build what they announced. The question seems to be is the hotel first on the docket to be built or the office tower portion? They previously made the residential component look like a secondary phased project but you would think with the market still strong the residential would be the easiest project to launch. I think the hotel / residential portion would be easier to accomplish than the office building. I say that because the project was contingent on them landing a tenant that was okay with No Parking or very little of it. This project was being hailed as transit Oriented. ...the assembly of college grads and music fans moved their rowdy music festival Fry Street Fair to Deep Ellum from its cramped quarters on the streets flanking the University of North Texas. Rowdy... really? So many better ways to describe Fry Street Fair than rowdy. The co-founder of Oaktopia, an award-winning music and culture festival in Denton, said Tuesday afternoon the popular event might relocate to Deep Ellum, an entertainment district near downtown Dallas. "We're not partnered with Sparky anymore," said Matt Battaglia, who co-founded the multigenre festival four years ago. 345 is still such a barrier between DE and DT, especially at Elm, Main and Commerce. The only somewhat good connection is on Canton Street. Lately, if my friends and I are at Farmer's Market, we'll walk over to DE, cross at Canton, and it's actually pretty enjoyable. I find the freeway itself to be less an impediment than even Cesar Chavez or Good Latimer, when crossing via Commerce. The biggest problem is the absolute lack of any sidewalk on the south side of Commerce, which is where you want to be to avoid the ramp. I'm always amazed at how derelict that section of Commerce is. Once you get be under the freeway and enjoying the dog park, it's not too shabby at all. Hannibal Lecter wrote: That shows just how little you understand the the neighborhood. Parking is probably third only to crime and panhandlers on the list of residents' concerns. Most of the properties -- both residential and commercial -- don't have guest parking. Any visitors have to park on-street on in the paid lots (and hope their windows are intact in the morning). As mentioned in my earlier post about the proposed bike lane, only a couple people really cared one way or the other about it -- as long as it didn't remove any on-street parking. But they were getting the torches and pitchforks ready if it would mean losing even one space. So it's all about guest parking? I'm sorry, but I have difficulty believing the problem is as bad as you claim. I'm sure that there are some high-demand times when it's relatively difficult to find a space right outside your building. But I'm also sure that there are plenty of spaces within a 5-7 minute walk during those time periods. They reduced parking on one street. All the streets around it, every side street and every major corridor, has ample parking, in addition to the lots you mentioned. You're correct that I don't live in Deep Ellum. I actually don't even live in Dallas at the moment, having spent the last two years in Oakland/Berkeley, CA studying transportation engineering. The parking problem is much worse here, as it's denser, with less parking, and poor public transit. And yet still I've never had to park more than 7 min from my destination. I just don't believe that Deep Ellum has turned into this parking nightmare you describe from a reduction on one street. I don't doubt you know other people very concerned about parking. As a veteran of many a public meeting of neighborhoods I do live in or know intimately, I can attest that parking is almost always the top concern of (sorry, rude but true) older people who've lived in the neighborhood for a long time, even when it isn't justified at all. They have come to expect tons of free or minimal-cost parking provided by the city, and expect to be able pull in directly in front of wherever they're going at any time. Preventing people from having to walk 5 minutes during peak hours is not what the city's interest should be. The focus instead should be on creating attractive, safe, and vibrant neighborhoods that encourage more people to visit and live in Dallas! Deep Ellum is used to very plentiful parking right next to their destination. Neighborhood backlash against anything that might infringe upon that has been pretty intense. A 3 or 4 minute walk to a destination seems unreasonable to a lot of people in the neighborhood. It's frustrating, and as the area continues to become dense, people are going to have to accept that parking isn't an unlimited commodity, or they're going to have to go ahead and start paving over blocks and turning them into lots. I took a party of 10 people to Brunch last Saturday at Stirr and we took the train from downtown to Baylor Station and walked one block to the restaurant. Everyone had a great time we walked and shopped all over Deep Ellum and then took the Deep Ellum station train back to downtown. These were out of towners and were super impressed that this was even possible in Dallas. Apparently even Dallas people don't believe this is even possible and need to drive and park a car. Too bad. After hosting its first night of soft opening yesterday, much-anticipated Deep Ellum poke shop Bowls & Tacos has officially arrived. Announced in a post on the restaurant’s Facebook page, Bowls & Tacos will swing open the doors for lunch service starting today. In the works for more than a year and originally expected to open at the end of 2016, the restaurant will occupy a long-empty former gas station at 4300 Commerce. The menu at Bowls & Tacos was developed by Braindead Brewing chef David Pena, and will (duh) feature a selection of poke bowls and tacos. If Pena’s Instagram account is any indication, the tortillas at this new spot will be stuffed with all manners of deliciousness like pineapple-topped trompo and pickled nopales. Beer on tap from Bowls & Tacos’ sister spot Braindead Brewing will also be on offer, along with a low-proof margarita created by Dallas bar whiz Mate Hartai. Bowls & Tacos will swing open the doors at 11 a.m. for lunch, at which point the new poke spot will be open from 11 a.m. to 12 a.m. Monday through Saturday, and 11 a.m. to 10 p.m. on Sunday. Sounds like a pretty decent spot (although I feel like we are getting way too many 'poke' places lately), and I like that it's bringing more activity to this side of Deep Ellum. Off the beaten path in Deep Ellum -- at least for now -- there's construction stirring at Deep Ellum Art Co., an ambitious concept expected to open this summer. It's slated to be a music and art venue with two stages, a bar and a food truck park. It'll host a monthly art bazaar, Deep Ellum's Art Festival. Not to be confused with the annual festival, this "outdoor street art gallery" is exclusively a place for local vendors, says owner John LaRue. 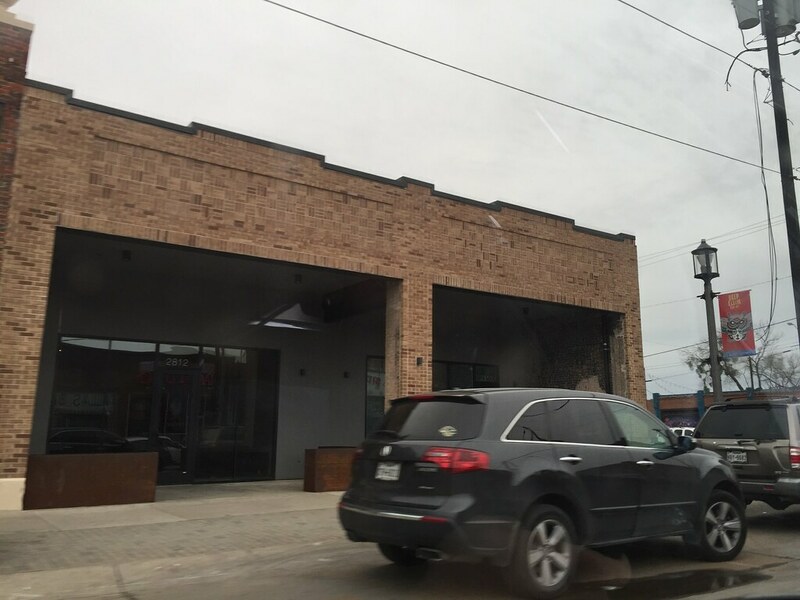 Yet another opening coming to this part of Deep Ellum, which means there is now Cold Beer Company, Sandbar Cantina, Bowls 7 Tacos, Double Wide, and now this venue all relatively close to each other. DMN Wilonsky had an article about reviving the effort to renovating Commerce for local usage instead of commuter usage. One plan even included actual bike lanes. Earlier this week, Myers officially announced his plans to rent the adjacent space for an expansion of The Free Man, which will include a second kitchen, two more stages, a patio and multiple bars. He expects renovation to take about six months. I've never been to Free Man, but it looks like they are getting a serious upgrade. tamtagon wrote: DMN Wilonsky had an article about reviving the effort to renovating Commerce for local usage instead of commuter usage. One plan even included actual bike lanes. That would be awesome, especially if that stretched from Exposition Park to Downtown. After decades without, Dallas proper is finally going to get boba, the trendy tea with chewy "pearls." Bobaddiction, the tea-themed food truck, is opening in Deep Ellum, taking over the space previously occupied by Monkey King Banana Stand, the dessert shop whose goods are now for sale at sibling concept Monkey King Noodle Co. I really enjoy boba tea, but I always have to go somewhere in the 'burbs to get it. 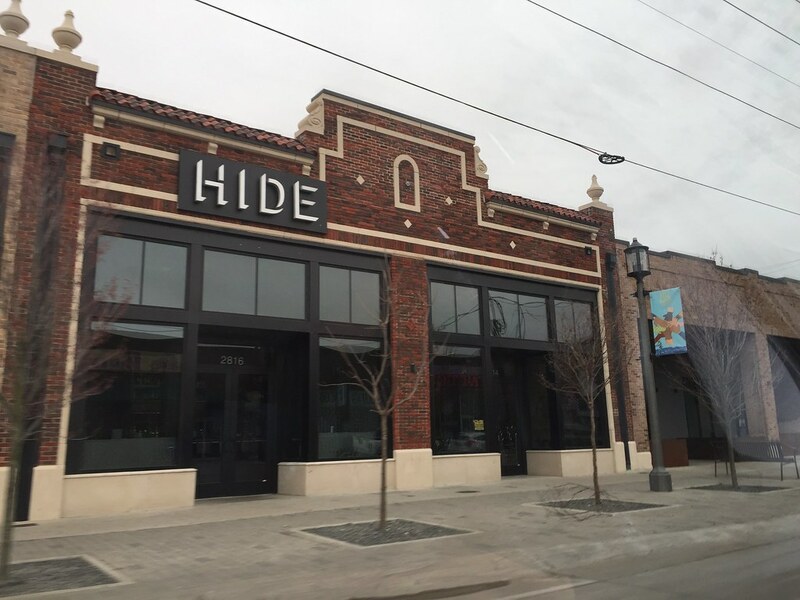 Nice to see an option in Deep Ellum now. Hannibal Lecter wrote: ^ Someone's getting old. Oni Ramen, one of Fort Worth’s favorite destinations for a steaming bowl of broth and noodles, is officially headed to Dallas. 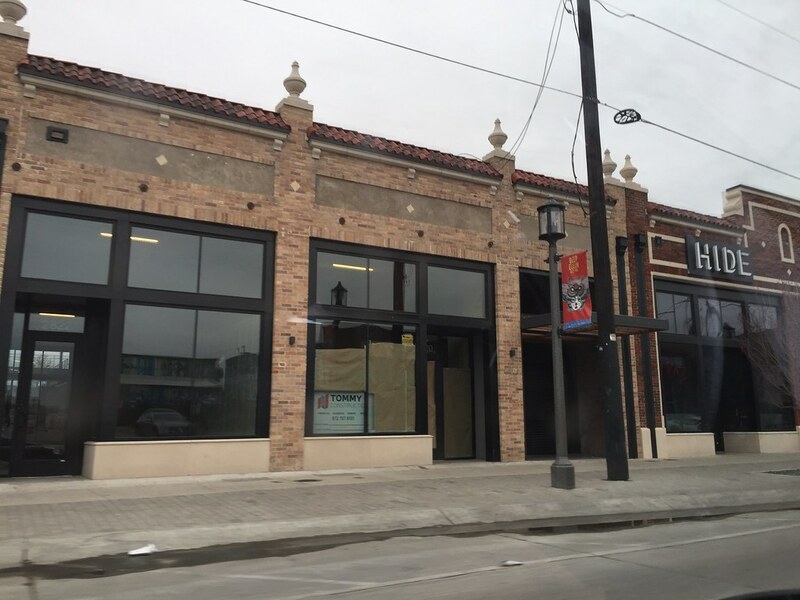 The restaurant from Chef Jesus Garcia is set to open its second outpost at 2822 Elm Street, reports CultureMap. Oni Ramen is expected to make its Dallas debut this summer, likely sometime before August. In the meantime, hit up one of the city’s currently-open options for a killer bowl of ramen. Deep Ellum is rapidly emerging as the rival to Knox for the best walking neighborhood in Dallas (and since the vibes are so different, both can be best). Easily more bang per block here than McKinney, Lower Greenville or EMC. But with all this attention, they need to keep it real, that's all. willyk wrote: Deep Ellum is rapidly emerging as the rival to Knox for the best walking neighborhood in Dallas (and since the vibes are so different, both can be best). Easily more bang per block here than McKinney, Lower Greenville or EMC. Still give the edge to Knox. More people and a grocer. Many residents and those who frequent the historic neighborhood romanticize the past, debate the quality of the present, and lament changes on the horizon. Entrepreneur John LaRue wants to embrace change while preserving the essence of Deep Ellum, and hopes his new mixed-use venue, Deep Ellum Art Company, will do just that. Plans for the facility at 3200 Commerce St. include an indoor and outdoor art gallery, a stage and sound system for live music, and a nearly 50-foot bar. The venue is scheduled open in July or August. The modest facade of the one story building, which was once a printing press repair shop, is deceiving. At first glance, one might not think the beige and brown brick structure built in 1955 contains 5,000 square feet, with about 10,000 exterior square feet behind the main building. This should be a great addition to the neighborhood. Especially on the corner by Sandar, new residential down commerce street. So, is the hostel still happening? Hadn't heard anything in awhile. ^ They're currently doing the interior demolition. A new Dallas brewery that's in the works has settled on the coolest location ever: a vintage building in Deep Ellum. 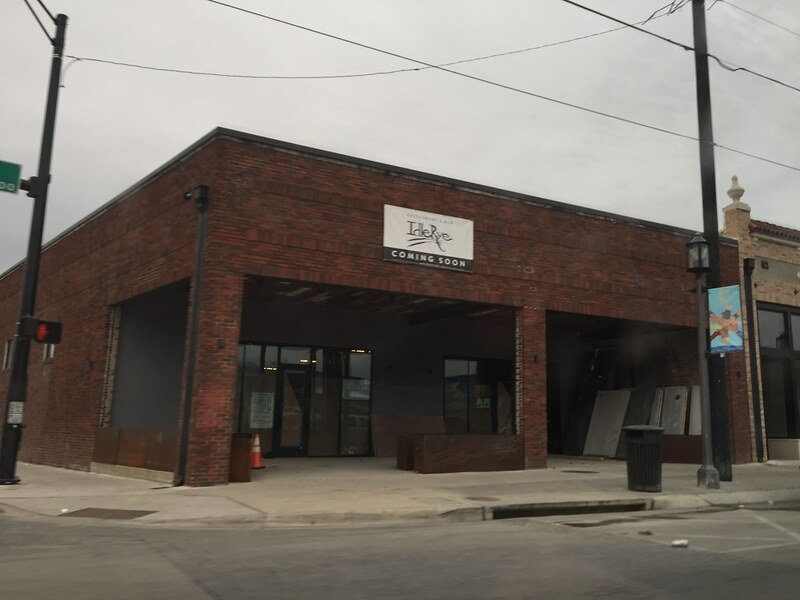 Westlake Brewing Company will open at 2816 Commerce St., near the intersection of Martin Luther King Boulevard, across the street from Zatar Lebanese Tapas & Bar. With a targeted opening of late 2017, Westlake Brewing will sit between the neighborhood's two other breweries, Deep Ellum Brewing Co. and Braindead Brewing — a fact that greatly pleases Art Harvey, co-founder of Westlake with partners Bill Parker and Larry Picchiotti. Another addition to Deep Ellum. Does this mean some big changes are coming to the area? Aside from the WestDale redevelopment and Case, it's been slow and steady with a new bar or restaurant added every few weeks. I'm not complaining, but I think the area could certainly handle something bigger. DPatel304 wrote: Does this mean some big changes are coming to the area? Hopefully some residential projects to fill out some of the empty space and parking lots. I'm hoping that the Case Building leases up quick to spur some more residential, which would hopefully add some neighborhood services type retail to the mix. Deep Ellum is truly becoming a gem of a neighborhood again. Lots of energy. Oh, and a hotel or two would be nice. Something like an Aloft, W, or NyLo. Matt777 wrote: Hopefully some residential projects to fill out some of the empty space and parking lots. I'm hoping that the Case Building leases up quick to spur some more residential, which would hopefully add some neighborhood services type retail to the mix. Deep Ellum is truly becoming a gem of a neighborhood again. Lots of energy. Yeah, I would love to see this as well. I'm hoping the high-rises like the Case are only developed on the outskirts and the parking lots in the heart of the neighborhood get converted to pedestrian plazas, patio space, or something to that effect. This area has proven itself as an entertainment district, but we need more residents and daytime population. A hotel would be a great fit, maybe a couple of them since there will be one a Knights but maybe on the other end closer to Case Building. ^ Hilton close to completion four blocks away at Hall/Gaston. Hannibal Lecter wrote: ^ Hilton close to completion four blocks away at Hall/Gaston. And The Epic will have "The Pittman" boutique hotel on the other end so I guess that makes two. 42 new murals have appeared in Deep Ellum. It's been a while since I've read the details, but I believe DE falls into a neighborhood parking arrangement (there's a more accurate term for it that I can't come up with). Basically, parking requirements for new developments or change of use are assessed based on lots available within a certain distance and how many users of those lots exist. So, replacing a parking lot with something else isn't quite as straight forward as one would think. You have to account for how many of those spaces are allotted to neighboring properties and replace them, as well as meet your own parking requirements. Or, you could always apply for variances, or obtain additional parking at a nearby location. That doesn't mean it's not possible by any means... just a little more complicated. I wouldn't be surprised if we see a parking garage developed for this vary reason. If you own a dozen parking lots, you could turn one or two of them into a garage, and redevelop the rest. I don't have any new news, but I was in Deep Ellum this Saturday for an event. I left the area around 12:30, but, on my way out, I saw Dots was completely packed, and Stirr and Drugstore Cowboy had massive lines. I didn't even get a chance to check out the bars on Elm St, but places like Green Room are generally always packed as well. It's insane how quickly this area has grown, I just hope it grows at a manageable pace going forward. The last few times I have been there, I usually go to Stone Deck Pizza Pub for a drink. Even on the busier nights, that place never gets that busy, and their beer selection is pretty good. I'm surprised some bars can have lines out the door, while others are generally more quieter.